Graffiti. Always my favorite object of photography whenever I stop by Jakarta. This one is under one of the flyovers in Slipi area. It was a little bit after 08:30 in the morning. I was early for a rendezvous. So I went around with my compact LX3. Its compact size didn’t attract the criminal minds as much as a 7D. 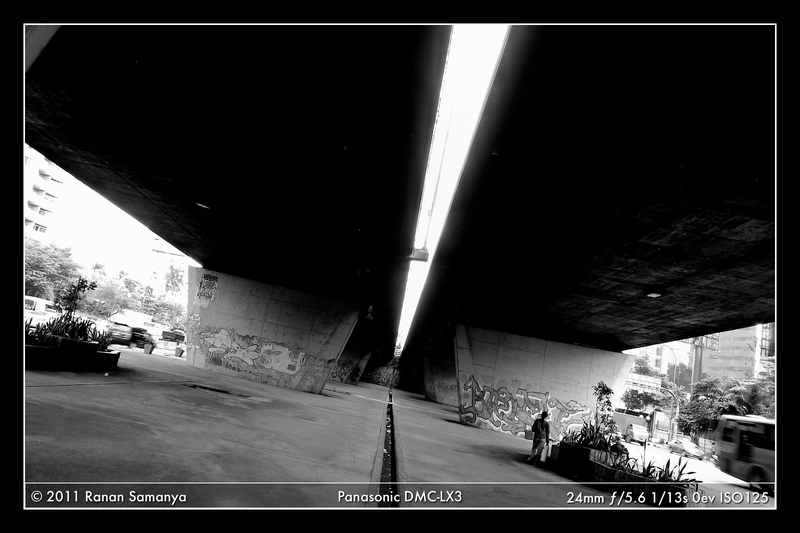 And 24mm is just great for this, enhancing the perspective of the concrete structure. I made it into B&W to make it more dramatic, in Aperture, using one of its presets, then adjusted the color level manually to add contrast. 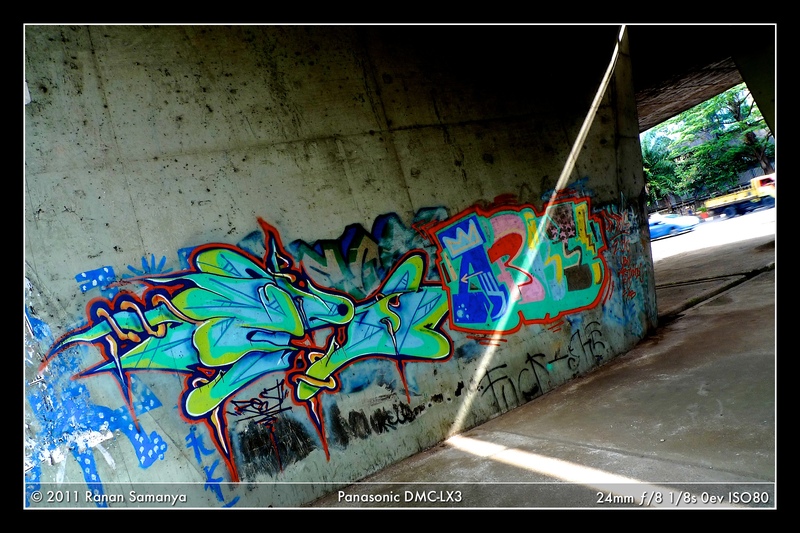 The graffiti below is the most striking one with its mix of colors. Sort of demonic thing. I needed to wait a few minutes to get the thin line of sunlight penetrated through the flyover and made an angle at the base. Just in time too: after the shot cloud was covering the sun, and my company arrived.